Someone talk to me about this beauty. I’m a sucker for anything coral, really. So take a look at “Corallina” and ask yourself why you don’t own it! 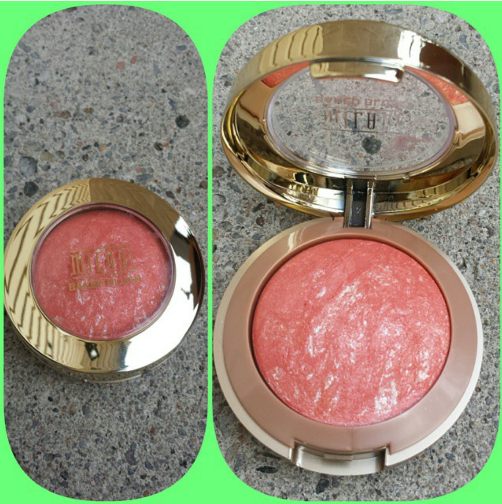 I like that there is a bit of glitter to it, so I definitely wear it as a blush or highlight. It’s perfect for the summertime, but if you don’t care about that stuff like me – wear it all year round! I will definitely be purchasing other colours (there are 9 in total). Listen folks, there’s nothing else to say here – it’s beautiful and under $10 at Walmart – just go GET IT! I am perpetually on the hunt for the right moisturizer. Add in a season change and I go on a mad search. Oh, for me – “right” means oil control. Seeing as the cold season is fast approaching (aka – here) my skin tends to get a bit dry in some areas. I had noticed this product line before and finally decided to try it out and picked up the moisturizer in “Combination”. 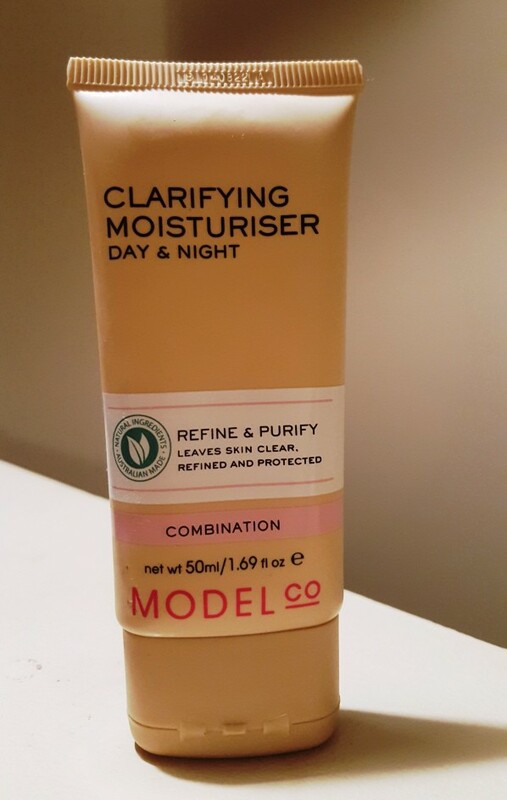 Iconic Australian beauty brand, ModelCo, has developed award-winning self-tanning, beauty and suncare solutions for over a decade and recently launched a natural skincare collection. With a commitment to innovation, ModelCo continues to lead the way on a global scale, transcending convention and producing smart, quality products that make women look and feel fabulous. Based in Sydney Australia, ModelCo is the creation of former model agent, Shelley Barrett who, after working with models, makeup artists and stylists, saw a niche in the market for innovative, quick-fix, multipurpose beauty solutions. The first time I used it I didn’t like it. I thought it was too thick and was going to leave my skin very oily. But the thing is, as is the case whenever I have to squeeze a product out, I tend to squeeze a bit too much then have to find a way to scrape some off and save it. So the following night, I literally squeezed out the tiniest bit and realized that a little goes a long way with this product. It spreads easily and in no time I covered my entire face. The other benefit to that – it’ll last longer. It leaves my skin feeling fresh and clean (Outkast, anyone?) without any buildup. It is so natural feeling, it makes me think that this is how my skin would feel if I left its natural oils to accumulate and do their thang on the surface. It costs $25 on the site, but I paid $9.99 at none other than my favourite store – Winners. If you’re looking for a moisturizer that leaves your skin feeling fresh and unclogged, I say GET IT! 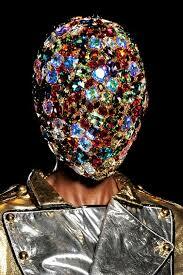 As I have mentioned countless times before, my face is basically an oil slick. NO, not true actually. My face was an oil slick. But, thanks to sticking a regimen of great products that work well for me, I think I may have actually succeeded in downgrading myself to semi oil slick, combination skin status. Please hold your applause to the end. I used to travel with my MAC compact at ALL times to blot my super oily T-Zone. However as my skin regulated itself a bit more, it became apparent that powder on powder on powder = cakeface. Not always a cute look. I used to love me some good cake face war paint, but I’m finding that these days I just want my skin to look like…skin. Call me crazy. So I have been laying off the powder (I don’t even bring it with me most days) and using tissue or blotting papers instead. 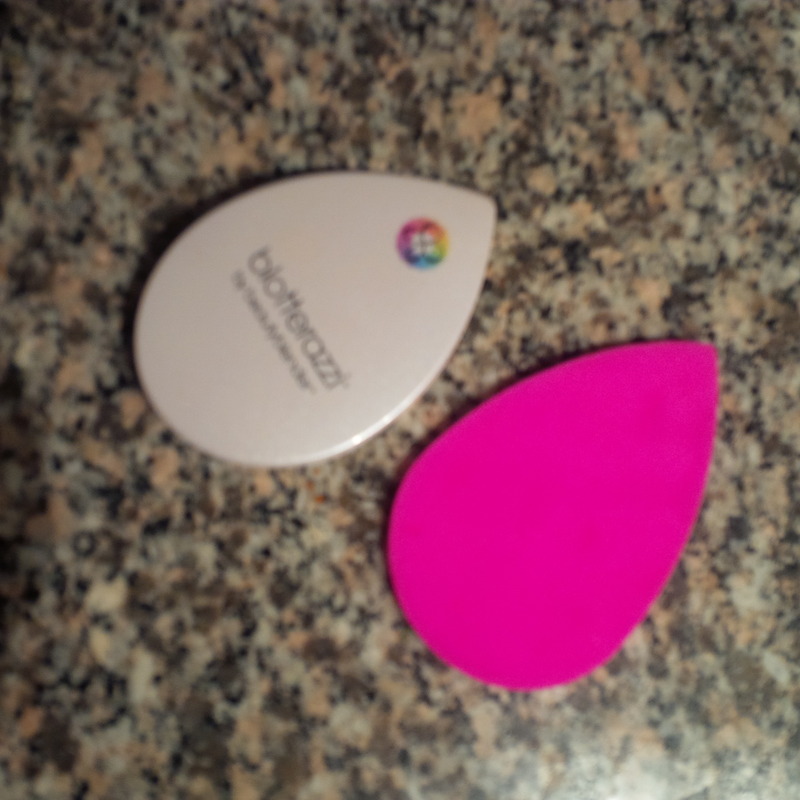 So, when I heard about the blotterazzi by the good folks that brought us the beautyblender, you know I had to pick one up. Let me just start by saying the name blotterazzi is ridiculous and I feel ridiculous saying it as I write this. But I’m kind of ridiculous too, so let’s all just shake our heads at the name once and move on. 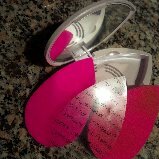 The blotterazzi *snort*, is a mirrored compact that contains two flat blotting sponges made of beautyblender material. 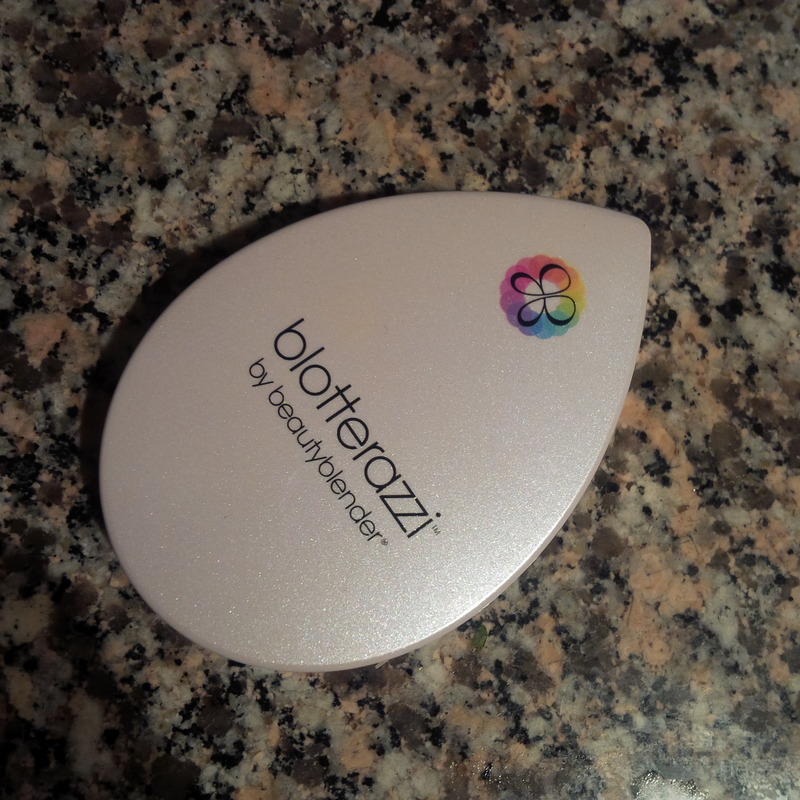 Shaped to fit all contours of the face, the blotterazzi saves you from unused corners like traditional blotting papers. Made with the award-winning beautyblender material, these blotting sponges remain “thirsty” when they are dry, absorbing excess oil without disturbing makeup so that skin stays looking radiant. With the compact’s vented back and clear, hygienic separator, it ensures that the sponges keep their freshness. I love the beautyblender and think it does a really great job or blending out makeup and touching it up. But it is entirely not travel friendly or handy to tote along through your day. So, the bloterazzi is genius. It does an excellent job at absorbing any rogue oil on my face without disturbing any makeup that may be there. It also works to smooth out any unevenness or creasing that has occurred through the day. The shape of the sponge allows me to really get it where I need it and leave the dryer areas of my face alone. It is a chic and cute teardrop compact with mirror, and two spongers separated by a sheet of plastic transparency. I really like the design of the compact. I find it easy to tote around and handy to have the mirror. I don’t see the point bringing two sponges all the time though. I hate holding extra things and would rather the product cost half as much and just had one. Or, if the replacement sponge was housed in separate packaging. You are supposed to wash the blotterazzi daily then leave out to air dry. This is when switching out the second sponge can be helpful. It comes with a miniscule pouch of beautyblender liquid cleanser. I think you are supposed to fall in love with it and then decide that you want to drop $25 on the full sized cleanser at Sephora. Don’t. I use the same face wash I use to cleanse my face and its fine. like the regular beautyblender, this thing gets huge when wait and then shrinks back down to size when dry. Speaking of moola, it’s pricy for two little sponges, but so is the beautyblender. I purchased mine for $20 in the States but the Canadian price for one of these bad boys at Sephora is $28. Sheesh. It works, and I enjoy it. The price tag means you should really think about the blotterazzi. Is it necessary? Of course not. But, if you’re looking for an on the go blotting product that is cute, portable, easy and effective, then I would say… GET IT! Do you love Jaclyn Hill? You probably do, everyone does. I certainly do. If you are living underneath some kind of rock and don’t have any clue what I am talking about, Jaclyn Hill is an uber famous makeup artist with over two million subscribers on YouTube. I absolutely adore her down to earth, candid videos. She is an incredible artist who does amazing things with makeup. She seems to favor the same sorts of tones and products that I like, so I always have my ears perked up when she recommends a product or colour and I am usually not disappointed. 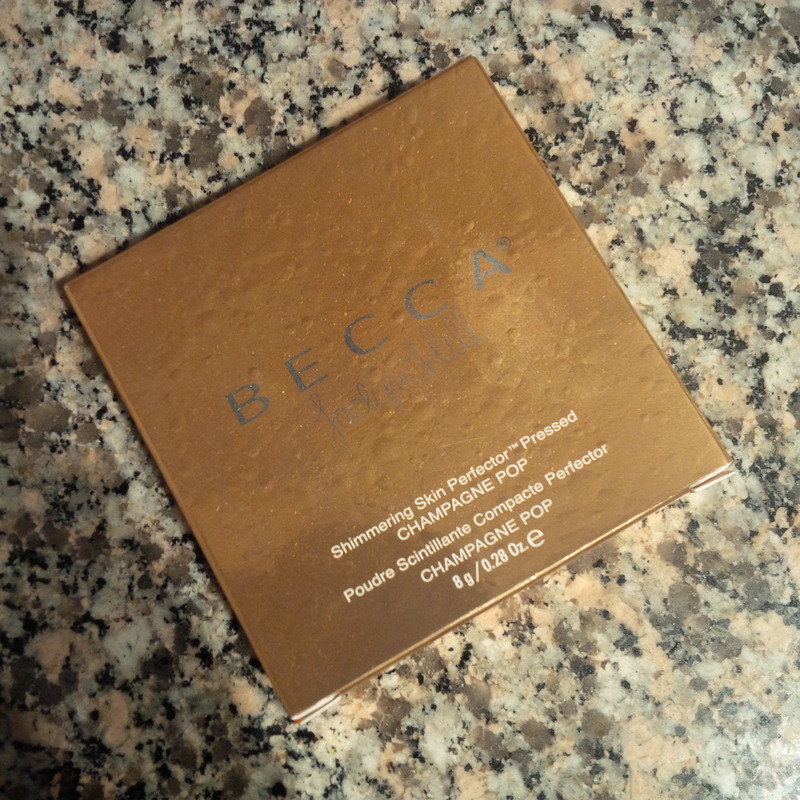 I have wanted to try the Shimmering Skin Perfectors from BECCA for a while. Champagne Pop looked absolutely gorgeous on camera but the “white gold” description concerned me a bit and sounded no bueno for my skin tone. So I figured I would check it out and give it a swatch before purchasing. So, Jaclyn Hill is REALLY popular. Like so popular that when she endorses something it basically sells out. When I went to Sephora on the release date, I was told that I could look at the Champagne Pop box, but I couldn’t open one or swatch one because they didn’t receive many and couldn’t spare one as a tester. So, I was handed the beautiful box while the Sephora associate stared at me as if I had the hope diamond in my hands. Umm…the box was nice, but I would need more to go on before I dropped $46 on this product. When I said I was going to pass on it until I see it, or at least see it on someone closer to my skin tone. The associate looked at me like I had three heads for even thinking twice about buying it and said, “Ok, but this first shipment will sell out fast.” She was right, they did. 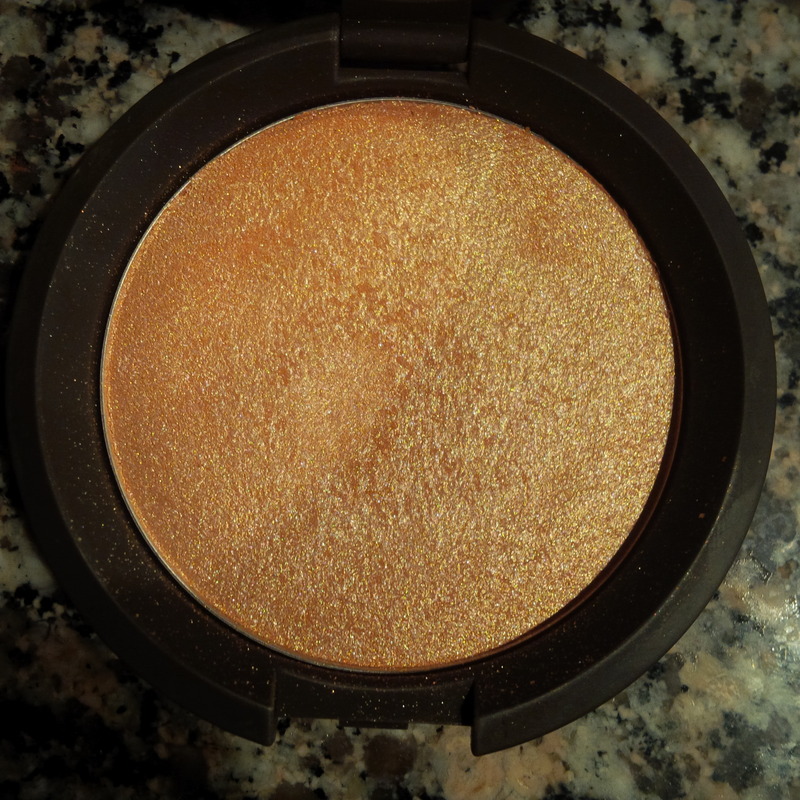 So, you can imagine my delight when I received Champagne Pop as a birthday gift. Basically, now I was the one acting like I had the hope diamond in my hands. All I could hear in my head was Jaclyn’s mantra, “highlight on fleek!”. 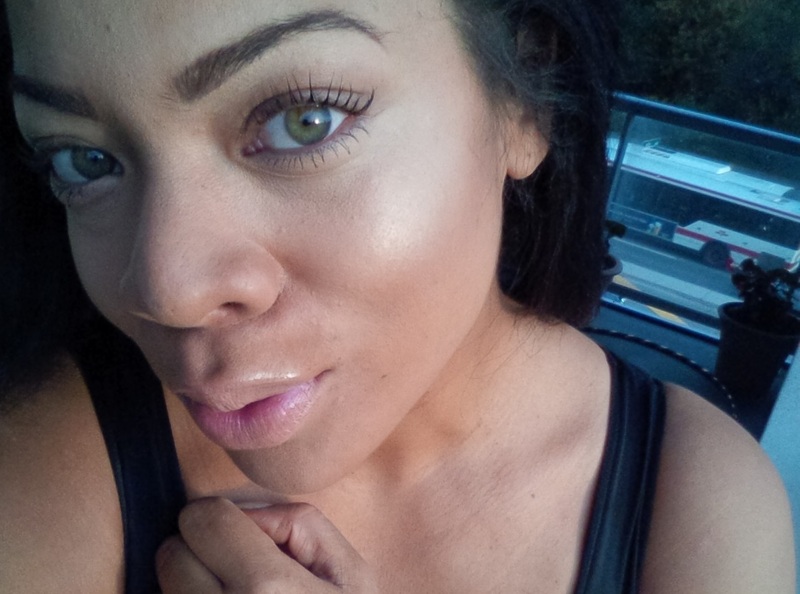 Champagne Pop is a very pretty iridescent rose gold. 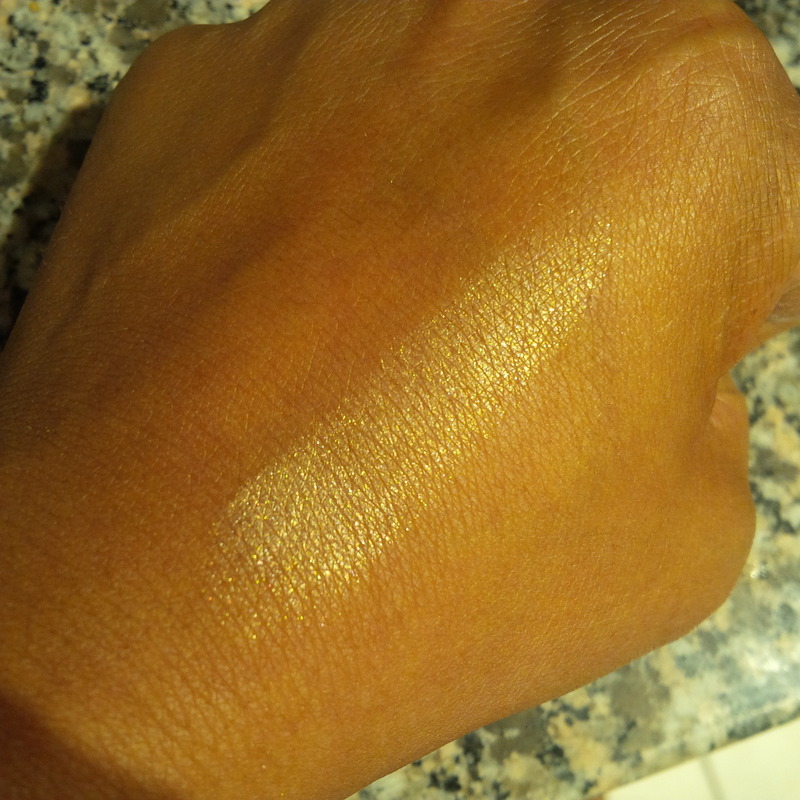 The Shimmering Skin Perfector formula is very smooth and creamy. A little goes a long way and it blends in with makeup like a dream. I love the Champagne Pop shade on my skin and I think it really is a nice universally flattering shade that could be pretty on all skin tones if used in the right way. 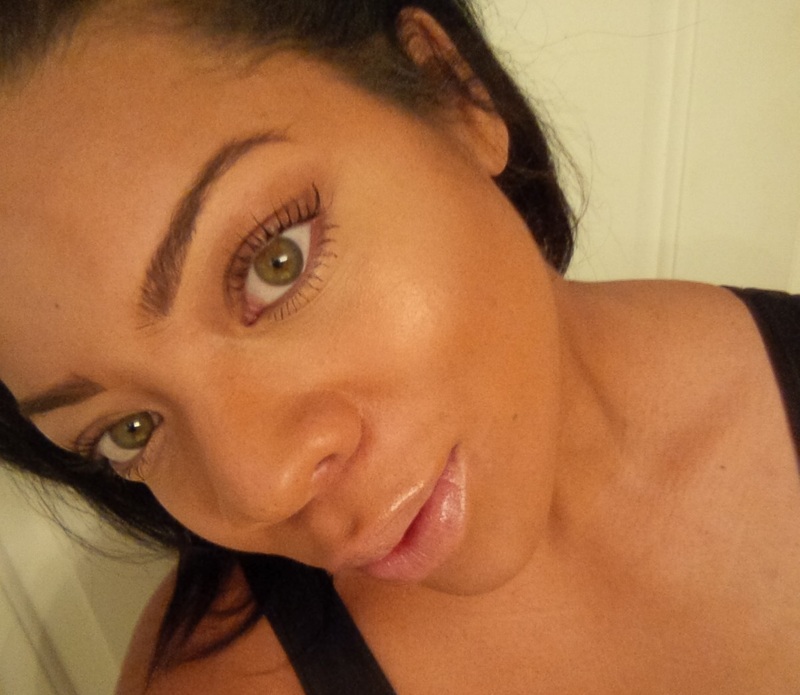 It just makes my skin look healthy, glowy and gives it more dimension. While it has definite iridescence, I wouldn’t call it sparkle or shimmer. I am sure you could build up the product to have a strobing effect, but this isn’t how I use it. The result is very subtle. Can you see it? I think it adds that healthy touch where you just look a little better and no one is sure why. I dig it. 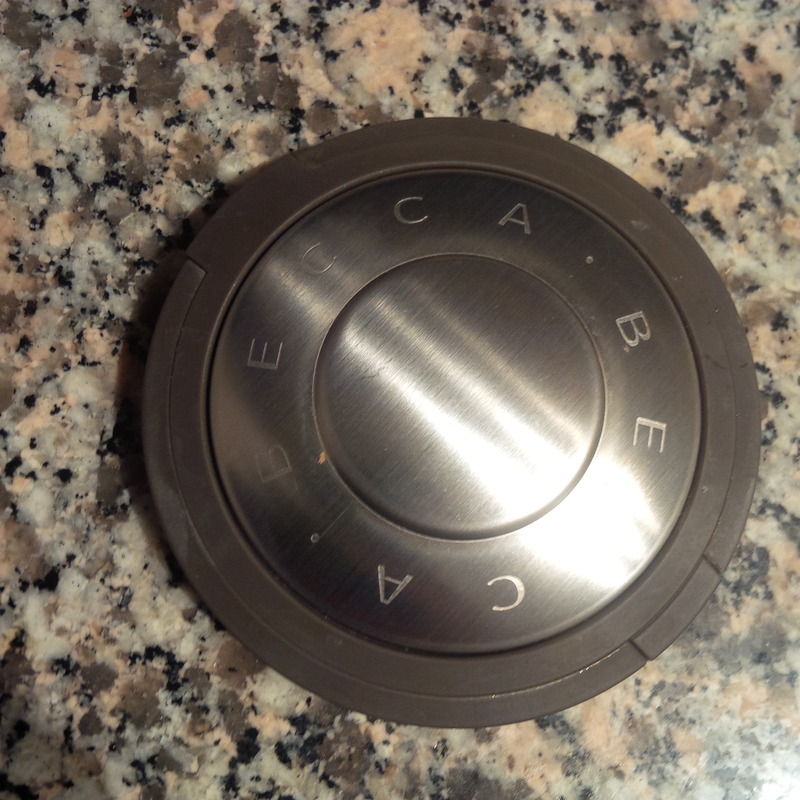 And because a little goes a very long way, the $46 compact will actually last quite a while. I want to try some of the other Shimmering Skin Perfector shades because I’m not sure if it is the product formula or the shade Champagne Pop that has be so deep in love. What I do know, is that I am so grateful to have received this thoughtful gift and I would definitely recommend it. GET IT! Lauren, thank you so much for taking time to read and comment! !